won the 13-17 age category at Sunday's IHRA Jr. Dragster Shootout, besting a field of cars and drivers from all over the Southwest. 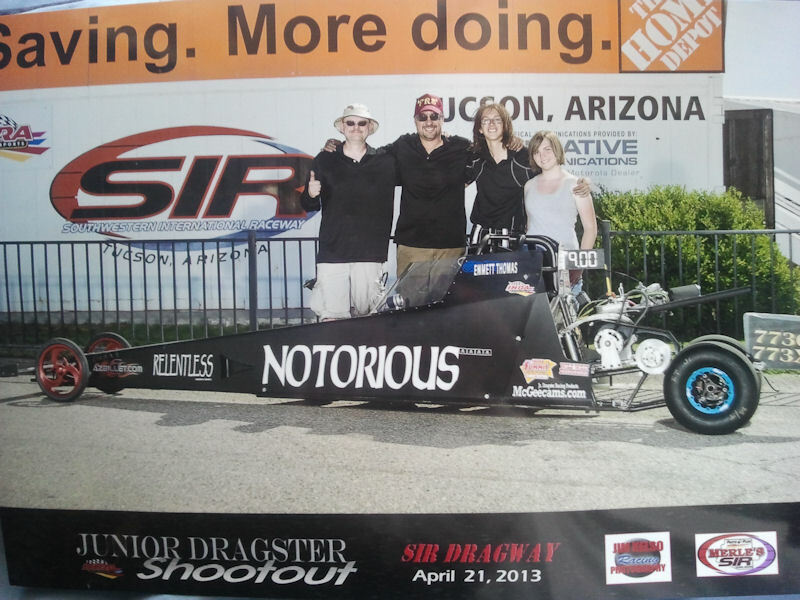 and won with a steady stream of 9.0 elapsed times throughout the hot Arizona day. repeated consistency and excellent customer service.